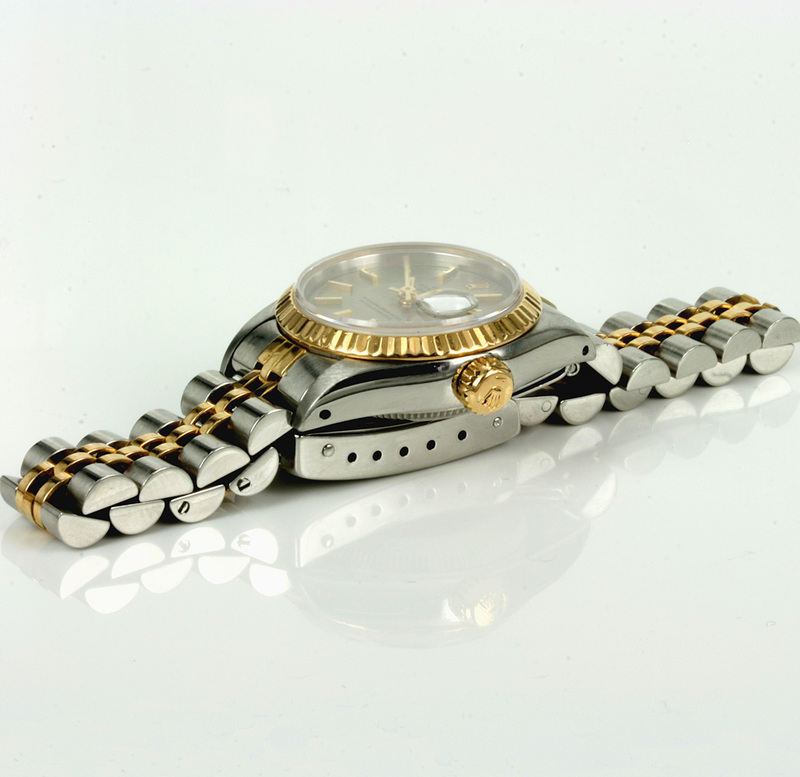 Product code: W335 Categories: Sold Items, Sold Rolex Watches. 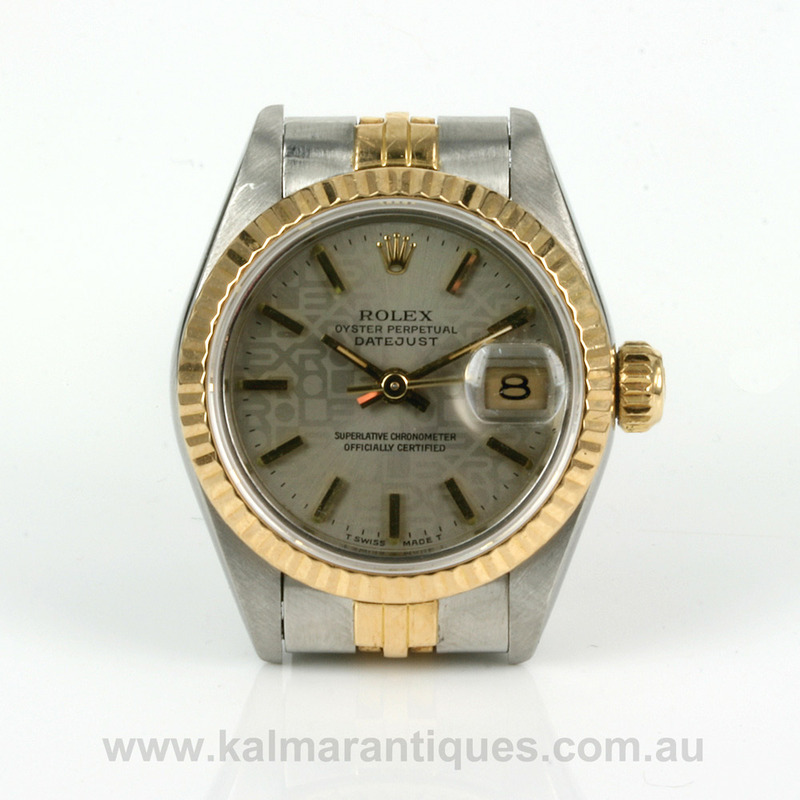 The Rolex Datejust in gold and steel is one of the most popular and easy to wear watches day or night and here is the Rolex Datejust model 69173. Not only does it come with the gold and steel Rolex Jubilee band, but it is also fitted with the Rolex Computer dial. The Rolex Computer dial is where the word ‘Rolex” is repeated continually across the dial. This gives this Rolex such a unique look to it that really sets it apart from other Rolex Datejust watches. Fitted on the Rolex Jubilee band in 18ct gold and stainless steel that is in wonderful condition, the Jubilee band combined with the gorgeous dial makes this the perfect Rolex watch to wear all the time. Measuring 26mm across plus the Rolex screw down crown and fitted with the sapphire crystal, the automatic Rolex movement runs perfectly and comes with our 12 month warranty. A great looking ladies Rolex watch for simply any occasion that will always look and feel so special on the wrist.